The Joint Air-to-Surface Standoff Missile–Extended Range (JASSM-ER) is now fully operational on the F-15E. 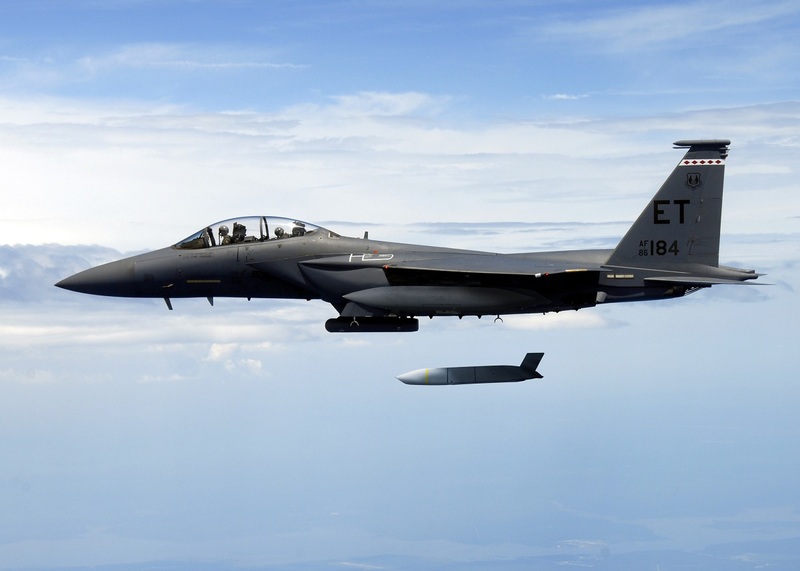 The news statement by Lockheed Martin on Feb. 6 says the F-15E is the first Universal Armament Interface (UAI)-compliant platform to field JASSM-ER. UAI-compliant aircraft feature standardized interfaces to support future weapon integration. Baseline JASSM was the first missile ever to be integrated onto a UAI platform. The U.S. Air Force (USAF) Seek Eagle Office led the F-15E Strike Eagle JASSM-ER and JASSM integration. Noteworthy as we have previously explained Japan too is exploring the possibility of modifying the F-15J all-weather air superiority fighter to arm them with the JASSM-ER. Civil servants are working on the fiscal 2018 budget to allocate funds to research on how to carry out the modifications. Thanks to JASSM-ER standoff capabilities, Japan would be able to attack North Korea directly from the airspace over the Sea of Japan without approaching the country. Effective against high-value, well-fortified, fixed and relocatable targets, JASSM-ER is also integrated on the B1-B and currently in the process of integration on the F-16C/D and the internal bay and wings of the B-52H. JASSM is integrated on the USAF’s B-1B, B-2, B-52, F-16 and F-15E. Internationally, JASSM is carried on the F/A-18A/B, F-18C/D and F-16 Block 52 aircraft. Produced at the company’s manufacturing facility in Troy, Alabama, more than 2,150 JASSMs have been delivered.